Air King 9214 High-Velocity 14 in. Floor Fan PPPAB, Avi Depot=Much More Value For Your Money! 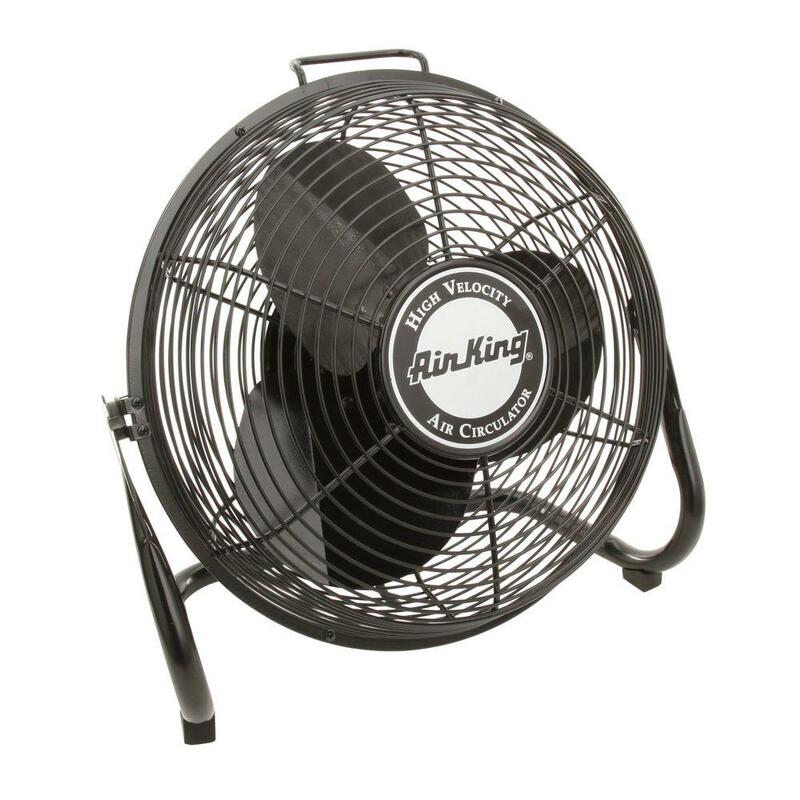 The Air King industrial grade high velocity floor fans are ideal for use in offices, stores, garages, warehouses and any other industrial space that needs powerful air circulation. It has three speeds and pivots back and forth to keep the whole room breezy. The single-phase, 1/20 HP motor is completely enclosed for quiet performance and the fan features permanent lubrication and split capacitor. The blade, guard, and mounts are finished with powder-coated steel for optimal durability and for safety's sake the fan complies with all ETL and OSHA regulations.